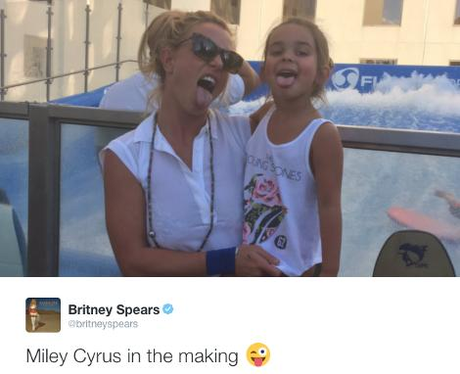 Britney Spears shows off with her adorbale niece. 4. Britney Spears shows off with her adorbale niece. She's definitely nailed that Miley Cyrus impression too!